In what is being billed internally as a restructuring effort, Apple this week released more than 200 employees from its "Project Titan" group, a secretive branch of the company focused on developing self-driving car technologies. 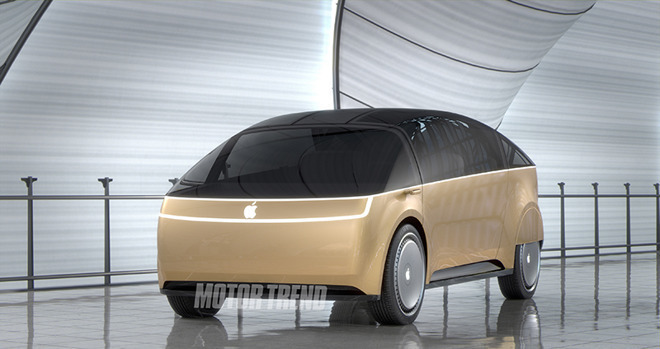 Apple Car rendering by Motor Trend. Citing sources familiar with the matter, CNBC reports the layoffs were executed this week under project leaders Doug Field and Bob Mansfield. In a rare confirmation, an Apple representative acknowledged the layoffs, noting the company is moving forward with wider development of autonomous systems and technologies. "We have an incredibly talented team working on autonomous systems and associated technologies at Apple. As the team focuses their work on several key areas for 2019, some groups are being moved to projects in other parts of the company, where they will support machine learning and other initiatives, across all of Apple," the person said. "We continue to believe there is a huge opportunity with autonomous systems, that Apple has unique capabilities to contribute, and that this is the most ambitious machine learning project ever." The statement does not offer specifics on the reported personnel changes. It is unclear whether all or some of the 200 employees cited in the CNBC report were dismissed or merely reassigned to different parts of the company. Apple previously cut back on the Project Titan initiative in 2016, when hundreds of team members were reportedly reassigned to other departments or fired in two waves of layoffs. The move came just two months after one-time SVP of hardware engineering Mansfield was handed the reins to Titan following the abrupt departure of former project head Steve Zadesky. Answering to Mansfield is Field, who in August returned to the Apple fold after a brief stint at Tesla. Rumors of Apple's interest in fully autonomous vehicle technology first surfaced in 2015. Reports at the time claimed the tech giant planned to build an in-house designed vehicle from the ground up, and suggested the company went so far as to begin preliminary discussions to build an automotive plant in the U.S. before realizing such an undertaking was more onerous than initially thought. Soon after word of an "Apple Car" sparked public interest, AppleInsider discovered the automotive project was being run out of a top-secret facility in Sunnyvale, Calif. At its height, Apple's car team counted well over 1,000 employees among its ranks, with specialists in automotive hardware to software focusing on a rethinking of the automobile. Prior to the first round of layoffs in 2016, reports suggested Apple would launch a branded electric car by 2020. While the company continues work on autonomous vehicle subsystems, a fully operational vehicle is not expected to hit public roads until 2023 at the earliest. In the interim, Apple continues testing of prototype technology with a fleet of self-driving vehicles that included 66 cars as of July 2018. Seen in and around the San Francisco Bay Area, Apple's testbeds are Lexus SUVs bristling with advanced sensor arrays, GPS equipment and cameras. Along with the test fleet, Apple is said to be applying some of Titan's technology to a self-driving shuttle program dubbed Palo Alto to Infinite Loop, or PAIL, that will ferry employees between Bay Area campuses in specially outfitted Volkswagen vans. If it was chauffeured by Handsome Anthony - it would be a hit. No one’s complained about car picture yet. Aside from giving up on building cars, another possible reason is that they may have a plan or agreement to work with some existing company. Perhaps Apple decided not to reinvent the, er, wheel. Nowhere have they said that workers are being let go from Apple, only reassigned. Big difference. This is going to end up being the most expensive employee shuttle bus in history. So they took some people from project titan and moved them elsewhere. What a non story. Big companies move people around all the time. When did anyone at Apple confirm they were building a car, or confirm they were giving up on building a car? It's not the self-driving part that's causing headaches, it's the power side of things. Think about how much trouble Apple is having getting the wireless charging mat for the iPhone ready for market. Now imagine making one the size of a parking space. 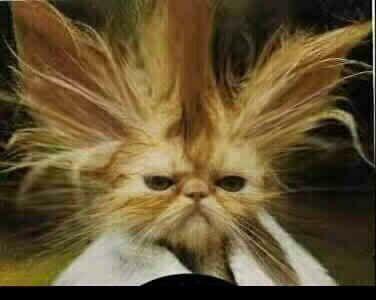 Aside from being an onerous manufacturing hurdle, some sources are reporting cases of early prototypes radiating excessive static charges that mess up people's hair. The affect on neighbourhood cats has been described as "disturbing." Didn't the article say Apple confirmed the layoffs in Project Titan? The report is confusing with different parts of it seemingly referring to staff restructuring in other divisions, Apple saying "select staff" in other positions (not at Project Titan?) and "some groups are being moved to projects in other parts of the company". Not entirely clear, altho the goal of Project Titan itself has never been clarified to begin with, so this may not mean much of anything anyway. Maybe they finally accepted that building a car is a bit more complex... than glueing a pice of gorilla glass onto an aluminum case. Or they realized that leading car manufacturers update their cars regularly... what do you mean, we can’t sell the 2020 model unchanged and for the same price until 2028?? So that’s what they’ve been doing the past few years. But all for nought. Can they start working on, you know, computers now? Or a new iPhone SE? iPad mini? Type that in a search box. They should leave the Car to a real innovative company - Tesla. Producing the car would mean securing a substantial supply of batteries on the assumption that it would be electric. To break into the market place Apple would probably need some technological break throughs in Solid State battery and Self Driving technologies. Two important areas where Apple appears way behind. It's a little disappointing because I think that Apple has the talent to miniaturize LIDAR even if they are way behind Waymo in software. Not that I have the money to afford a $100,000 vanity project for Jony Ive. Looks like Doug Field ran back to Apple too soon. 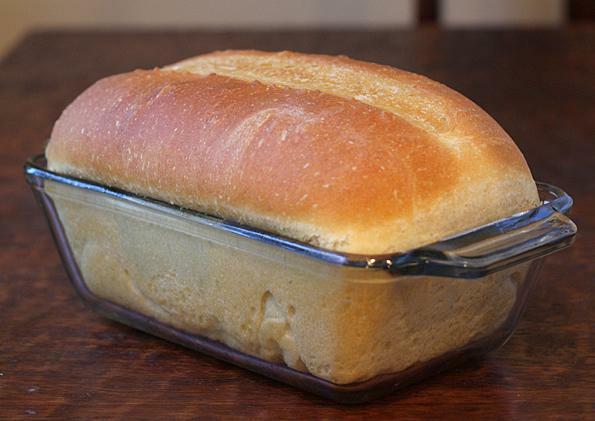 I’m baking apple car II for you guys. It's a little disappointing because I think that Apple has the talent to miniaturize LIDAR even if they are way behind Waymo in software. There's already a few miniaturized systems rolled out over the past several months and some in the industry think that units could be produced for as little as $100 in the relatively near future. Tesla is failing financially and its manufacturing and service are subpar. Worse for Tesla, the tax credits are halved to $3750, and they haven't figured out how to produce that $35K model. Then, or course, there are the announced competitors that have been and will continues to eat into Tesla's S and X sales. I haven't a clue what Apple is doing wrt vehicles, but I doubt that they will be building one for consumers; the margins just aren't there.